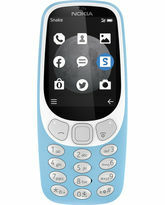 Nokia 230 feature phone sports a stunning white finish. 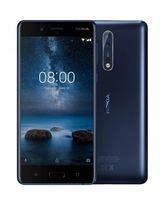 This Nokia mobile has a 2MP front camera for quick selfie capture.If you like to keep things simple, then the Nokia 230 mobile is made for you. It has a beautifully crafted body with a sandblasted aluminum back cover for a slip less, one hand hold. With its 2MP front camera, the device captures incredibly gorgeous selfies with distortion free clarity and optimum brightness. The 2.8inch display has QVGA resolutions of 320 x 240 pixels to make sure every content gets displayed in clear and bright picture quality. 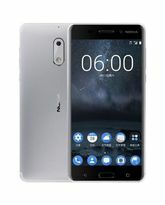 This mobile lets you keep both work and personal contacts separate for easy management and added network coverage with its dual SIM capability. 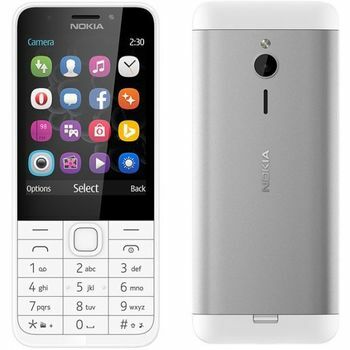 Available in white finish, the Nokia 230 mobile packs a 1200mAh battery that offers up to 52 hours of extended music playback on a single full charge. 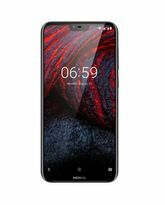 SMOOTH OPERATIONS This Nokia 230 mobile runs on a Series 30 plus operating system, which gives it a brilliant interactive interface with quick access to highly used apps. You can open any app and multitask at a great speed without facing glitches. Insert a microSD card of up to 32GB storage capacity to save loads of personal data. 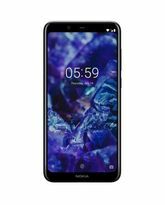 This phone has a 1200mAh battery that provides 23 hours of talk time, 52 hours of music playback time and 528 hours of standby time on a single full charge. 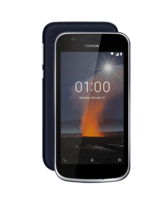 MADE FOR THE PHOTO CRAZY This Nokia 230 feature phone can be your personal mini camera that helps you capture the gorgeous selfies quickly. The 2MP camera clicks your surroundings with a vivid brightness, high clarity, and excellent sharpness. The phone also has a 2MP front facing camera that lets you click amazing self portraits. 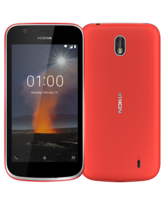 JUST THE RIGHT SIZE This Nokia 230 dual SIM phone has a 2.8inch LCD that delivers you bright, sharp, clear, and crisp content. It also injects the images with beautiful colors with its 65K colors reproduction. 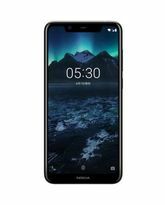 STAY IN TOUCH, ALWAYS This Nokia 230 phone provides seamless Web browsing experience with its built in Opera Mini browser. Search, find, view, and download your favorite content online. Use USB 1.1 port to transfer data from the device to a laptop or a PC quickly. Switch on the Bluetooth 3.0 connectivity when transferring files between the mobile or tablet for quick wireless data transfer.